Thin Places: “Thin Places,” comes from a Celtic Christian concept. The Celts believed that physical locations existed in which God’s presence was more accessible than elsewhere, places where heaven and earth seemed to touch, where the line between holy and human met for a moment, “the places in the world where the walls are weak”, “those rare locales where the distance between heaven and Earth collapses”, as Eric Weiner puts it in his spirituality travelogue, Man Seeks God. For such a ‘thin place’ for me visit my blog post on the Holy and Life-Givng Cross Orthodox parish at Lancaster. “This is a difficult post for me to write … I have always believed that Art and Nature are two vital ways to make our prayer come to life, two ways to lead us ‘into’ knowing God. And yet, I feel God has offered me such a rare gift at the end of a very tough year that I need to give myself time to allow it to sink in before I fully understand what I was given. 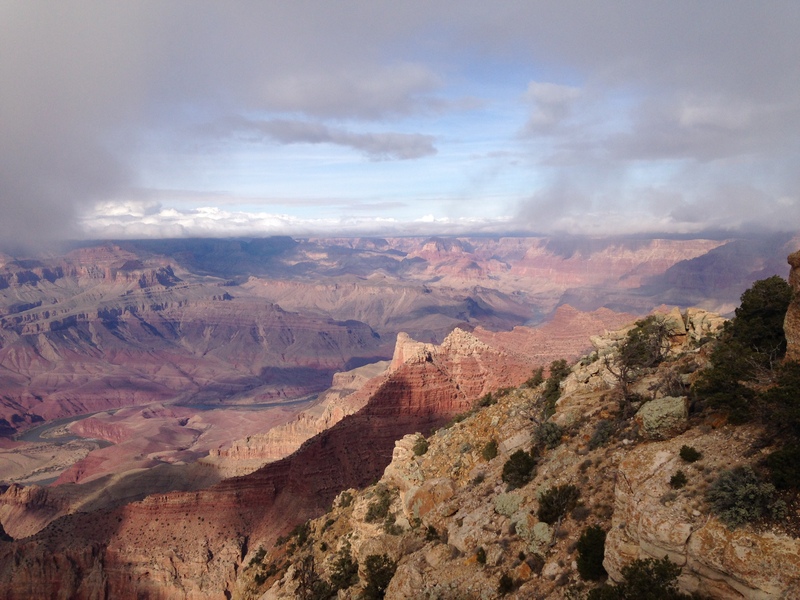 … I was on a day-tour of the Grand Canyon. 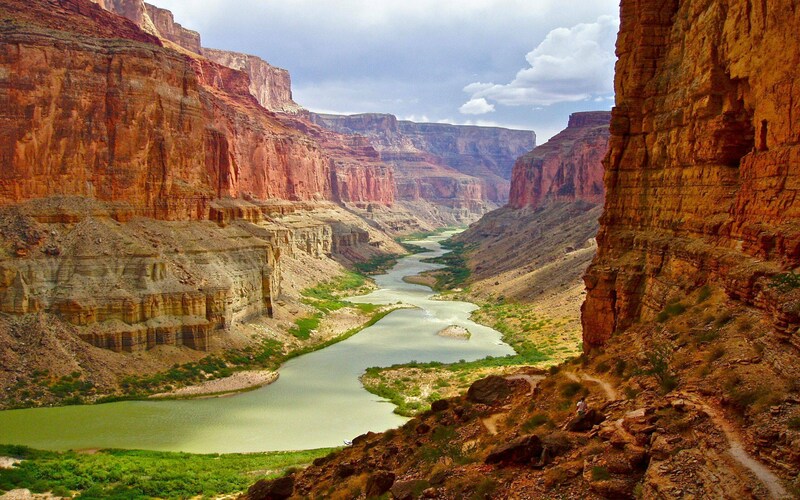 The sense of unmanageable Beauty one has before the wilderness of the Grand Canyon is just that: a true revelation of God, a true revelation of the correct relationship we are to have with Him. When I was there, facing this extraordinary demonstration of what authentic creativity is, all I felt was silence: a thick blanket of silence that covered my heart, my brain, my body… Before God’s presence, one goes numb, afraid to even breathe, afraid to approach it or draw near in any way. My eye-sight is not worthy to touch such beauty, my voice is not real, authentic enough to even whisper a prayer; all of one’s senses go silent, paralysed before such overwhelming power. And yet, my heart continued to pray in a different way. Deep down, my being seems to hide a different kind of worship, a different kind of relating to Christ. I don’t know when and how I learnt it; it just exists, the way instincts simply exist. Before such beauty, one discovers how different we are from what we’ve learnt to think we are – we are so much deeper, so much more beautiful, so much more able to worship and truly pray. It’s as if we were created with a set of spiritual senses and abilities, which we later – for some painful reason – fail to recognise in ourselves and fail to develop. We waste so much of our own being, we are so removed, so distant from our real selves… We learn to adapt to this world, and we end up replacing our spiritual senses with material ones. Then, in moments like these, we find ourselves face to face with His presence, and a sort of engine just starts working again in our hearts – all by itself, with no input, no doing of our own. This entry was posted in Celtic Orthodoxy and tagged Beauty, Celtic Orthodoxy, Celtic Saints, Celts, Creation, God, Grand Canyon, Monastery, Mull, Nature, God's Creation, God’s Energias, Orthodox, Photography, Prayer, Seraphim Aldea, Silence, Stillness, worship.